A beautiful smile can change the way you look and feel. Through proper preventive care & regular checkups every 6 months, we believe that it is highly likely that most of our patients can expect to keep all of their teeth for all of their lives. Our committment to your care is our priority. Did you know that most dental plans will cover preventative care (i.e. 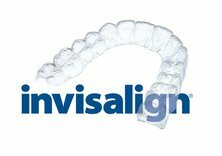 cleaning, exam, bitewing x-rays, and fluoride, for children) at 100% every 6 months? Please contact your plan sponsor (usually your employer) or dental insurance company for questions or concerns regarding the specific features of your dental plan. 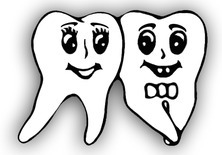 Need an appointment with a dentist in Framingham or Franklin? Requesting an appointment at either of our offices is now easier than ever. We enjoy your presence and invite you to communicate with us online. Please feel free to contact our office directly or click on the Demandforce link below for a hassle free way to schedule your appointment. This online service provided by Demandforce is easy to use and a convenient method to provide you with appointment reminders and confirming your appointments all by email and/or text. If you would you like a friendly reminder on the same day of your appointment, please sign up for text messages using the Demandforce link below. This great feature will send you a reminder text 3 hours before your appointment. You can also fill out the form below and we'll contact you to find a time that works with your schedule. Start your journey towards a beautiful smile at Smilage Dental Center today! Framingham: Tuesdays 2:00 p.m. to 7:00 p.m.
Fridays 10:00 a.m. to 6:00 p.m.
Franklin: Mondays 10:00 a.m. to 5:00 p.m.
Saturdays 9:30 a.m. to 1:00 p.m.
Framingham: Mondays 10:30 a.m. to 6:00 p.m.
Saturdays 10:30 a.m. to 3:00 p.m.
Franklin: Wednesdays 10:30 a.m. to 6:00 p.m.
Thursdays 10:30 a.m. to 5:00 p.m.
Framingham: every other Tuesday 10:00 a.m. to 7:00 p.m.
Framingham: Tuesdays 10:00 a.m. to 3:00 p.m.
Thursdays 10:00 a.m. to 3:00 p.m.
Framingham: Mondays 10:00 a.m. to 7:00 p.m.
Wednesdays 12:00 p.m. to 7:00 p.m.
Thursdays 10:00 a.m. to 7:00 p.m.
Saturdays 10:00 a.m. to 3:00 p.m.
Framingham: Wednesdays 9:00 a.m. to 6:00 p.m.
Franklin: Fridays 9:30 a.m. to 5:30 p.m.
Franklin: Fridays 8:00 a.m. to 5:30 p.m.
Franklin: Mondays 9:00 a.m. to 6:00 p.m.
Tuesdays 9:00 a.m. to 6:00 p.m.
Wednesdays 9:00 a.m. to 6:00 p.m.
Thursdays 9:00 a.m. to 6:00 p.m.
Saturdays 8:00 a.m. to 1:00 p.m.
Framingham: Mondays 10:00 a.m. to 6:00 p.m.
Wednesdays 12:00 p.m. to 6:00 p.m.
Thursdays 10:00 a.m. to 6:00 p.m.
Franklin: Tuesdays 10:00 a.m. to 6:00 p.m.
Framingham: Tuesdays 10:00 a.m. to 7:00 p.m.